10 days from £3535pp plus international flights. Superb safari and beach combination. Good chance to see the annual migration from about December to March. 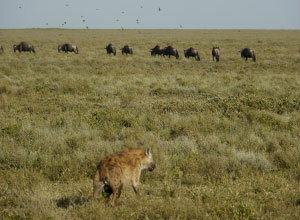 Wildlife viewing in famous reserves such as the Serengeti and Ngorongoro Crater. Your own private safari vehicle and guide. 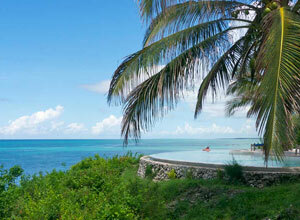 4 nights to relax on the shores of the Indian Ocean on Zanzibar. 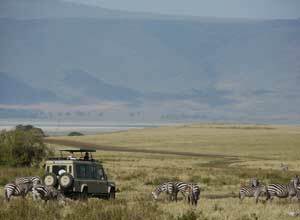 This African safari is ideal for those wishing to experience Tanzania for the first time. It combines excellent game viewing in some of Africa's best known parks with a chance to relax on the exotic spice island of Zanzibar. A combination not to be missed! 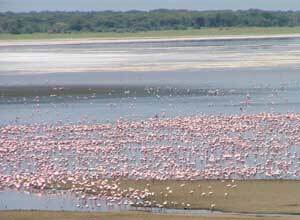 This prime wildlife safari takes you to Lake Manyara, with its herds of elephants, famous tree-climbing lions and flocks of pink flamingoes, and the vast Ngorongoro Crater, home to the highest density of big game in Africa. The Serengeti will probably be the main highlight of the trip, especially as your visit is timed to coincide with the annual migration, when tens of thousands of plains animals including zebra and wildebeest are on the move in pursuit of fresh razing pastures. This is one of the greatest natural spectacles on earth and will leave you with long-lasting memories. 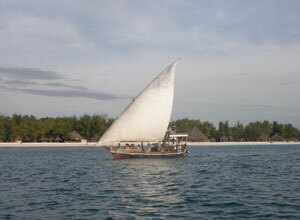 At the conclusion of your safari, you fly to the legendary 'spice island' of Zanzibar. Your home is the lovely Shooting Star Lodge set on a glorious white sand beach on the north-east coast. 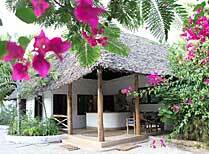 The atmosphere is relaxed, the staff friendly, and the views of the Indian Ocean picture perfect. Spend you days sunbathing, swimming and enjoying fresh seafood, enjoy a tour of a spice farm and learn how the island earned its name, or cast off your inhibitions and try your hand at kitesurfing - it's totally up to you! 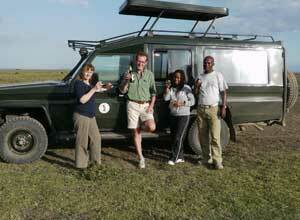 However you chose to fill your days this is the perfect end to your safari and beach holiday. Price notes: This is a 2017 guide price based on 2 people sharing, travelling in high season January - March 2017. Please ask for prices for other dates. We'd recommend flying into Kilimanjari International Airport and out of Zanzibar. Flights will cost from about £750+ depending on the season and availability. There is a discount for children under 12 years. We usually book flights for you. Departure dates: You can take this trip at any time you want, but in terms of seeing the migration in the southern Serengeti it works best from about December to about March (depending on the rains). 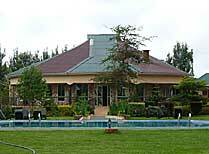 A friendly, simple yet comfortable lodge offering great value near Ngorongoro Crater. 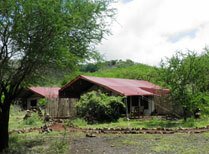 A small tented camp offering opportunities to spend time with the local Maasai community as well as on game drives. 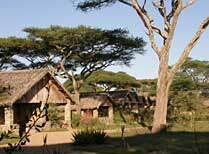 Ndutu Safari Lodge consists of 34 single-storey stone cottages. 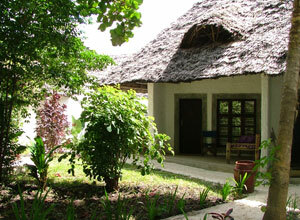 The accommodation at Shooting Star is built to a high standard in traditional Zanzibari style. 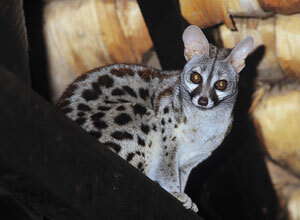 It is on the eastern side of Zanzibar.